Not every individual is cut out for entrepreneurship. Although to many it sounds quite exciting, others may describe it as nerve-wrecking, challenging, time-consuming, unpredictable, and overpowering. Entrepreneurs will face dilemmas in many aspects of the business problem-solving process including: maintaining inventory and cash flow; hiring and firing employees; establishing exemplary customer service; and managing technology (Strauss, 2012). For example, one challenge we recently faced in our organization was upgrading our creative design software to keep current in the competitive market. Based on the current funds available as a young startup, this presented an opportunity to develop a creative solution. Rather than make a costly investment, the strategy applied was to lease the software at a monthly rate from a new streaming technology the software company makes available through their IT services. Every decision an entrepreneur is required to make will give the founder an opportunity to assess multiple options, especially when making critical decisions. Because of this, Wasserman (2012) suggests creating a disaster plan. By putting in writing a plan of action for worse-case scenarios, like irresolvable business conflicts or the dissolution of an organization, helps entrepreneurs define who has the final decision in an impasse (Wasserman, 2012). For example, an organization whose two founding members discover are no longer an organizational fit and want to separate will have to find a way to do so amicably. 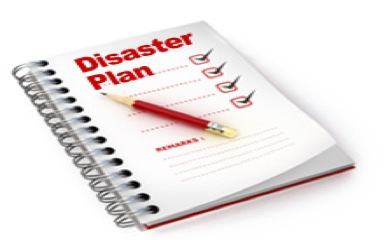 Having created a disaster plan will serve to make the transition a smoother one with guidance set forth in clear terms. Also at some time, an entrepreneur will need to engage in sensitive discussions to resolve issues. It is a good idea to induct a policy of being open and honest about every challenge that is presented in the workplace. 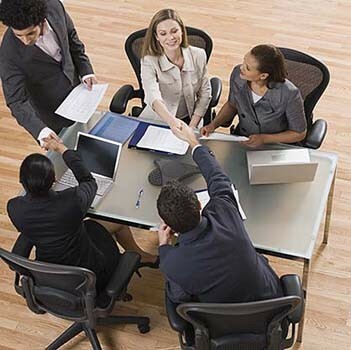 This gives employees access to the founder for assistance, helps increase the likelihood of discussing sensitive issues, and establishes precedence which in the long term helps reduce conflicts. Most people resist confronting a difficult issue and would rather avoid a discussion hoping it will somehow resolve itself. When necessary, a referee can help with professional disagreements to help prevent them from getting personal. Finally, whenever a dilemma arises, it is a good idea to create a paper trail, either by memo, letter, or another communication outlet to keep a record of the conflict and how it was resolved for future reference. One thing is definite, an entrepreneur will face many dilemmas that will require some kind of strategy to resolve. The better prepared an entrepreneur is to handle them, the quicker the resolution (Wasserman, 2012). Wasserman, N. (2012). The founder’s dilemmas: Anticipating and avoiding the pitfalls that can sink a startup. Princeton, NJ: Princeton University Press.